After repeated cycles of forced impregnation, painful birth, relentless milking, and crushing bereavement, their spirit gives, their bodies wither, their milk dries up. At the age when, in nature, a female cow would barely enter adulthood, the life of a dairy cow is over. 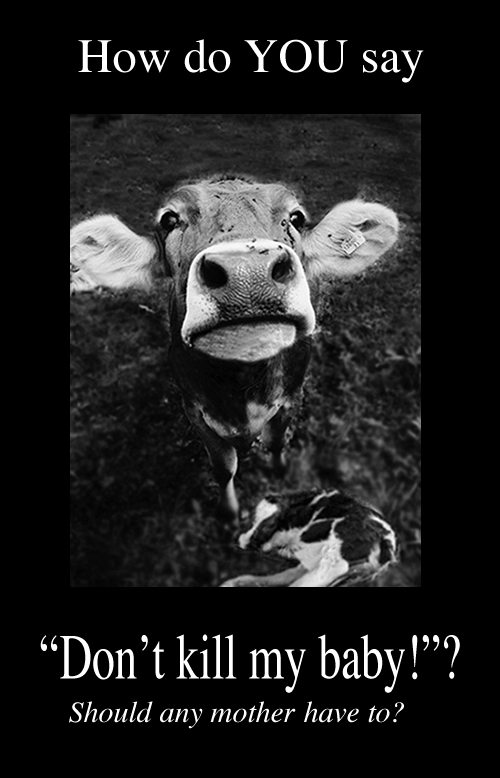 When her milk “production” declines, she and her other “spent” herd mates are trucked off to slaughter. Some are pregnant. All are still lactating. As they are shoved towards death, they drip milk onto the killing floor. anyone can do to a mother. Dairy consumers support this practice with their purchases.